Arrival in Shimla and get greeted by the tour representative on day 01 of the tribal tour for Kinnaur and Spiti Valley. Evening free for Mall Road ,Ridge Madian,Lakkar Bazar,proceed for a heritage walk to visit few architectural sites of the town built during the British Raj Check into the hotel. Overnight stay in the hotel. Drive to Sangla valley on day 03. Also called Baspa valley, Sangla Valley is also famous for its natural beauty and few old villages. 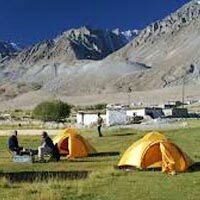 Overnight stay at the guesthouse and same day Sangla Sight seeing Visit to Chitkul on day 05 of tribal tour for Kinnaur and Spiti Valley Chitkul is the highest and the last village in the region at the height of 9000 feet above mean sea level. visit to Kamru fort and Batseri village overnight stay at Sangla if any sight seeing left next day we show you and start for Kalpa. Drive to Kalpa offering a panoramic view of Kinner Kalaish. 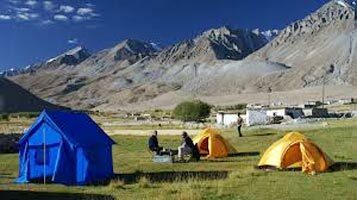 Kaza to Kibber Village and Kee Monestry Tour and in evening back to Kaza over night stay at Kaza Hotel Kibber Village - Overnight stay at the Kaza. Start early morning from Kaza to Manali Inroute Kunzum pass,Rohtangpass and Manali. Early Morning Drive to Chandigarh and drop Chandigarh Railway Station/ Airpot.